SOUTH LOS ANGELES (KABC) -- An investigation is underway after two documented gang members were shot and killed in South Los Angeles. 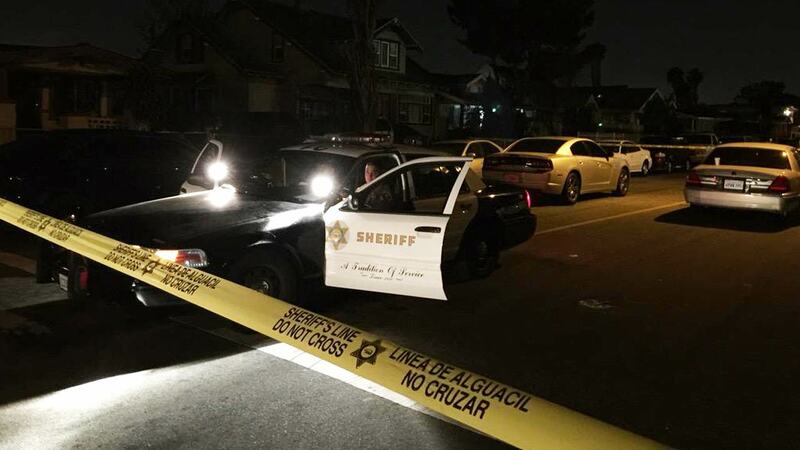 Sheriff's officials say the men, 26 and 38 years old, were standing around talking in a residential area near 87th Street and Budlong Avenue shortly before midnight. That's when investigators say a dark colored sedan rolled up to the area. The driver of the vehicle got out and opened fire, shooting and killed the two men. Investigators are looking into the victims' gang ties for a possible motive behind the killings. "It happened late at night, so right now, we're knocking on doors, trying to wake people up and talk to them," said Lt. John Corina with the Los Angeles County Sheriff's Department. "We don't know exactly what the motive is right now, so we're in the process of interviewing some witnesses to try and figure that out." If you have any information about this shooting, you're urged to contact the LASD.